Water is essential for life, so it’s reasonable that water safety is a big concern for people when traveling abroad. No one wants to get sick, and there are quite a few minor and not-so-minor ailments you can get from drinking unsafe water. So how do you deal with this when you travel? Where can you drink the water? For the most part, you can drink the tap water in the US, Canada, Australia, New Zealand, Western Europe, Japan, South Korea, Singapore, and Hong Kong. (This is not an all-encompassing list; it’s possible I’ve missed a few.) The water might taste different from one place to the next because certain countries add things to the water, and certain countries filter out different minerals. But the tap water is still safe. You don’t need to buy tons of bottled water while you’re traveling around Australia or Germany. Pack a reusable bottle or buy one at the beginning and keep refilling it from the sink. There are exceptions to almost every rule out there, and this is no different. For example, some of the Greek islands don’t have fresh water sources, so the water coming out of the tap is not safe for drinking. 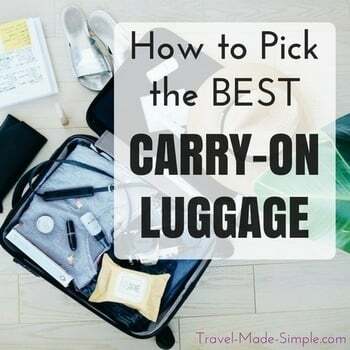 Situations like this vary so it’s worth doing some research before your trip. 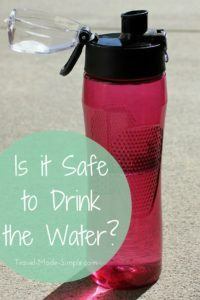 How do you know where it is safe to drink the water? I like to check with the CDC. Look where it says “for travelers” and select the country you’re going to from the drop-down menu. Once you’re on the country page, expand the “stay healthy and safe” section, and then expand the “eat and drink safely” section. This will you if the country you’re visiting has food and water safety standards similar to the US. 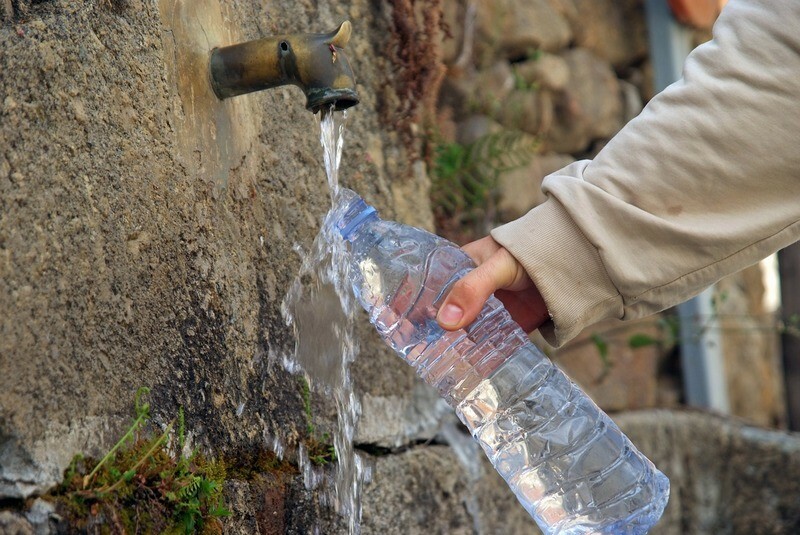 If you’re going to be camping, traveling to more rural areas, or you don’t want to be constantly buying bottled water in places where it’s not safe to drink the water, there are several products that will help you purify your water. Boiling your water works too, but sometimes even that isn’t an option. LifeStraw Personal Water Filter: This is a light-weight straw that lets you drink water from anywhere, and it filters out nearly all waterborne bacteria and waterborne protozoan parasites (but not waterborne viruses). The reviews are great, it lasts 3-5 years and just stops working when it hits its shelf life so you don’t have to worry about using it for too long. SteriPen Traveler: This uses UV to purify your water from bacteria, parasites and viruses. Again, it has great reviews, but you can only use it on clear water, so you would still have to filter murky water in some way. (Reviewers have suggested coffee filters or even a t-shirt.) The SteriPen Water Purification System Pack includes a filtering bottle. SteriPen requires two AA lithium batteries. Potable Aqua Water Treatment Tablets: These are iodine tablets that will purify your water. They are only meant for short term or emergency use though, not for an extended period of time. So these are probably more ideal as a back-up. Even though the claim to have a neutral taste, some reviewers say the water tasted bitter. But at least they were safe from bacteria. It’s important to note that none of these can claim 100% effectiveness, though they do come really close. Read all instructions before using. Most of all, try not to worry. You want to be cautious when traveling to countries with lower food and water safety standards, but don’t let it make you paranoid. Buy bottled water, and you should be fine from waterborne illnesses. 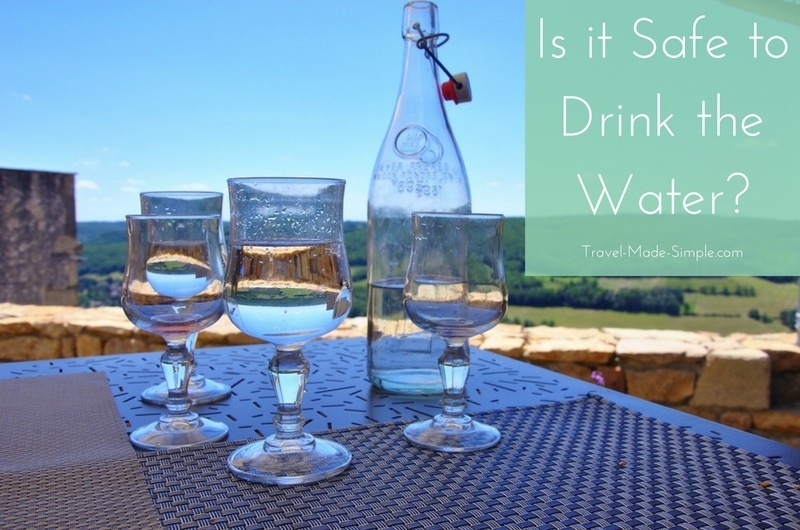 While traveling to places like Western Europe, remember that it is perfectly safe to drink the water coming out of the tap. When in doubt, check the CDC website and ask at your hotel. I can tell you now that not all Australian so-called drinking water is drinking water. Melbourne’s is by far the best in the country and I would have no qualms in drinking that at all. Drive 2 hours down the Princes Highway to Morwell in the Gippsland region where I live and it’s a completely different story. Our water comes out of the Latrobe River and tastes absolutely awful. I refuse to drink it and I buy bottled water by the six pack at least twice a week the Aldi around the corner for drinking purposes. I think in most of regional Victoria at least, rivers are tapped for the drinking water or small reservoirs are constructed. The problem with this is that during dry spells and especially during droughts, the water level lowers and causes the quality of water to deteriorate a bit. I’m no water expect but this is what I have heard from people anecdotally. When you get into the outback and you’re drinking bore water, the taste would get even worse so depending on where you are going in Australia, a water filtration system may well come in handy. There are certainly exceptions to every rule. Also, keep in mind that just because the water tastes bad doesn’t mean it’s unsafe. We’re currently in Siracusa, Sicily and the water is safe to drink but it doesn’t taste good, so we’re drinking bottled water. I’m sure there are plenty of places in the outback where the water might not actually be safe. Always best to do some research first. I mostly wrote this post because so many people think the water isn’t safe outside of the US, and that’s just not true. The water is perfectly safe to drink in many parts of the world. 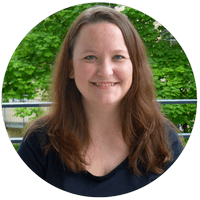 I’m currently working on a book about travel planning – how to decide where to go, picking accommodations, planning transportation, safety, local customs and fitting in, etc. I haven’t decided if it will include any info about packing since I already have a book about packing. I don’t think I’ll include info about photography because that’s not my expertise. There are a lot of great resources out there for photography from professionals, but as much as I enjoy photography, I’m not a pro, and I honestly don’t know how people take such good photos with their phones! Thanks Caroline, there are definitely exceptions to any rule. Rural areas can be different in some countries, so I’m glad they warned you.